Featuring seven experts sailing six popular modern single-handed and twin-crewed dinghies this is for sailors who want to develop their knowledge, understanding, and sailing expertise. From the novice wanting to get to grips with the basics to the hotshot who wants to be at the head of the fleet, this book gives the latest and most innovative sailing techniques and racing strategies. This book covers a variety of dinghies to reflect typical modern designs, which provide user-friendly sailing, great performance and good value for recreational, high performance and regatta sailors. RS Q’BA and RS Vision suitable for novices and improvers through to intermediate level. Laser Radial and RS200 for improved boat handling techniques that are vital for racing. RS500 and RS700 for skiff-style high speed sailing with asymmetric spinnakers and trapezes. 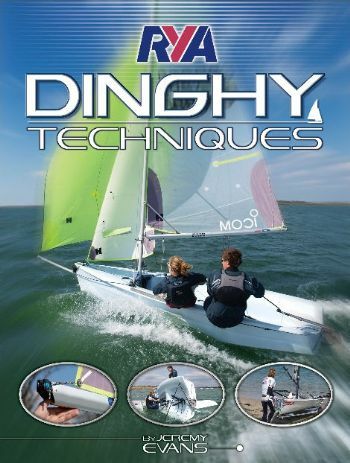 Comprehensively written by leading RYA author Jeremy Evans and richly illustrated with clear and instructive photographs and diagrams, RYA Dinghy Techniques is required reading!